At the promo day, I was introduced to Karen from Dermaceutic and had a little chat with her about my skin and about Dermaceutic too. I was also treated to a Dermaceutic mask peel and went home with a few goodies from Dermaceutic, including their Foamer 15, Hyal Ceutic and Sun Ceutic. 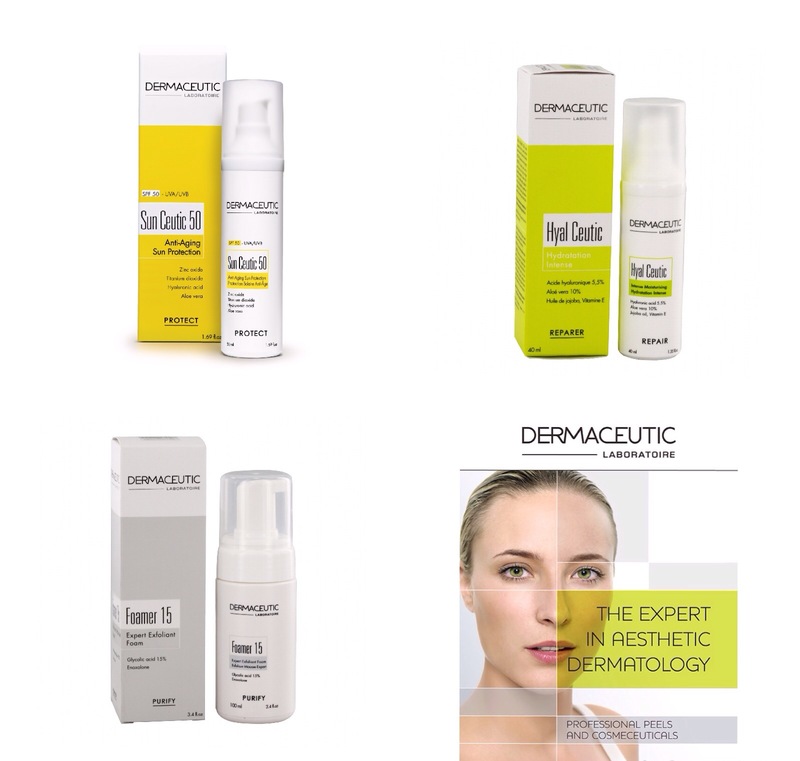 For those of you who are unfamiliar with Dermaceutic, they were one of the first laboratories to develop products using ingredients such as hyaluronic acid, vitamin c complex, retinol and glycolic acid – so they definitely know what they’re doing when it comes to skincare! The mask peel that I was treated to, is basically a chemical peel that is formulated to purify the epidermis, tighten pores, brighten a dull complexion, regulate oily skin and dilated pores – so basically, it aids in calming down current breakouts and preventing future breakouts. With both the mask peel and milk peel (which I’ll tell you about next week some time) there is no downtime. So you can literally have the peel, slap on some sunblock and Oxygenetix to conceal redness and you’re good to go! It was very tingly for the first couple of seconds and I felt like I couldn’t handle it and wanted Karen to wipe it all off. But after about 15seconds, my skin had calmed down and had adjusted to the peel ingredients. My skin was baby soft (I swear! ), my pores had significantly shrunk in size but my skin was really red, especially the skin near the breakouts. The redness had disappeared and the whitehead that was present on my cheek, had dried out too. My skin was still really soft, however not as soft as it was immediately after the peel. And my pore size had remained fairly the same. The whitehead was now gone but it did leave behind a little mark on my cheek. The major breakouts were not any worse nor any better and even after 5/7/10 days after the peel, I was still breaking out. To be totally honest, I was rather excited to see the results from the mask peel, however I felt that it was quite minimal. The mask peel only aided in drying out the breakout that was present at the time of the peel and failed to prevent future breakouts. However, it is possible that there existed other contributing factors to the breakouts that occurred after the peel, including my stress levels and eating habits. I’m thinking of treating myself to a mask peel sometime in the future but only after I’ve changed my eating habits and diet and got my stress levels under control. That way, I’ll really be able to tell if the mask peel really does achieve what it says it will achieve. For the past 7.5 weeks I’ve been using the Foamer 15 Cleanser, Hyal-Ceutic Moisturizer and Sun Ceutic Sunblock and have noticed some changes in my skin. Before using these products, I had major breakouts along my jawline and my forehead, however after 6 weeks of using these 3 products, I noticed that the occurrence of breakouts in these 2 areas have decreased significantly. The breakouts on my cheeks are still there but are less frequent than before. Overall, after almost 8 weeks of using these products at home, I’m not able to say that breakouts are now a thing of the past as I still do experience them, however not as often as I used to, before I started using Dermaceutic. I’m pretty sure that if I stick to the products and actually give them a chance to work I could end up with some really great skin – God Willing! Oh yes! I forgot to mention above that you’ve got to use a makeup remover to remove all makeup before cleansing with the Foamer 15. I noticed that when I just double cleansed with the Foamer 15, the make up still clogged my pores and I woke up to tiny whiteheads every morning. So it’s best to use a cleansing balm or micellar water to remove makeup and then follow up with the Foamer 15 for best results! 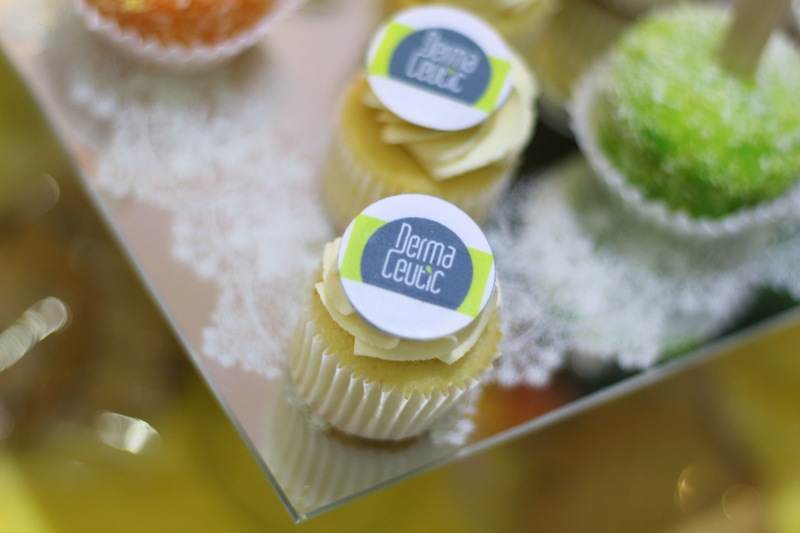 So that was a really lengthy post but to sum it all up, I’m really impressed with the Dermaceutic product range. I’m still on the fence about the mask peel and until I try it again after I make those lifestyle changes, I can’t really give an opinion on it in terms of preventing breakouts, but I can say that if you don’t experience breakouts and just want super smooth and soft skin and invisible pores then the mask peel is the way to go! I really am excited to continue on this skin journey with Dermaceutic and I’m eager to see what my skin will look like in the next couple of months. Also, a huge thanks goes out to Dermaceutic and Dr Ridhwana Vawda for kick starting my journey to great skin and for allowing me to see that there is light at the end of that really, really, reaaaally long tunnel! 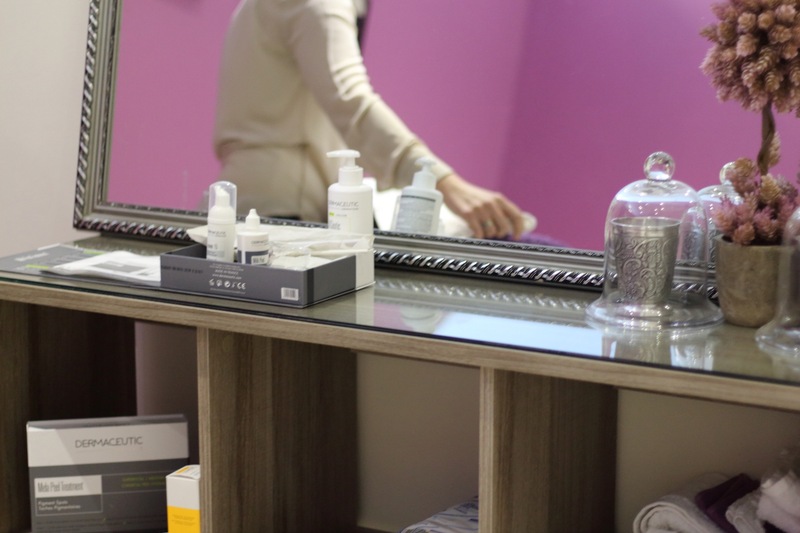 If you’re interested in improving and taking care of your skin, you can visit Dr Ridhwana Vawda in Crescent Towers, Overport and chat to her about Dermaceutic products and all of the treatments that are available and suitable for your skin. 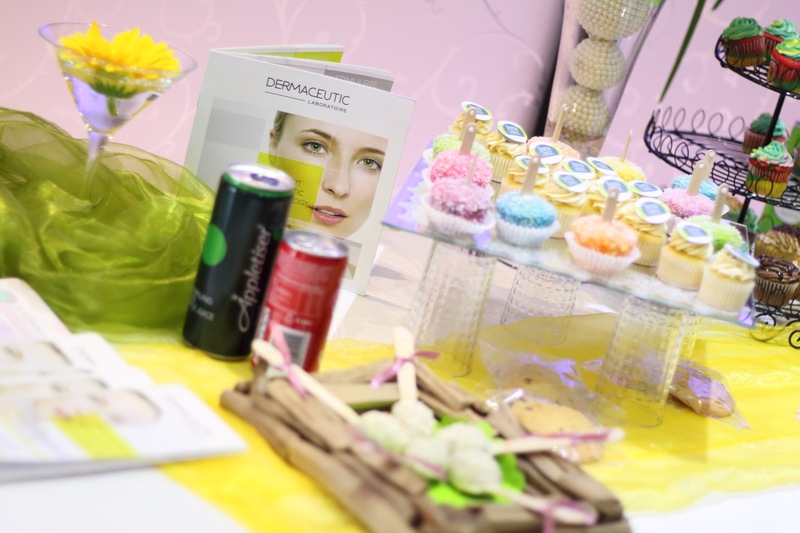 You can also find Dermaceutic on Twitter and Instagram, if you’d like to keep up with them and their products! 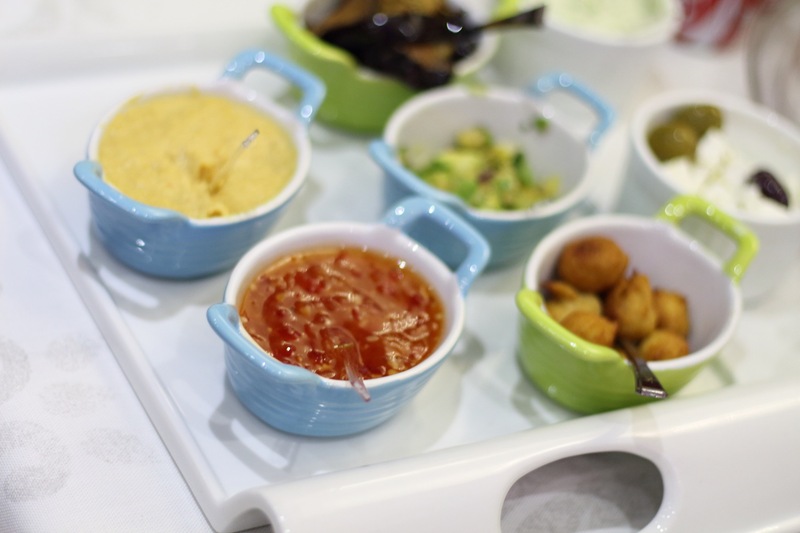 P.S I thought I’d share a few pics of the yummy food at the promo day, so here you go! Salams hope you are well. I read your post on the dermaceutic product and peel. I can tell you now that the milk peel worked wonders for my mums skin, however her skin concerns are different to yours and she will definitely have follow ups on the peels. With regards to your skin, you always mention about acne concerns/ breakouts etc. I was wondering if maybe it’s because you often trail out a lot of beauty products as you review them too. I also have similar skin concerns and took to the pill which reallllllly helps but I don’t like it as a long term option. I have also been using eucerin dermo purifier range for a long time now and have seen good results. I wanted to share with you a product which I came across at the health shop in pav. Its called phyto – guava. Its drops which assist in blood purification, acne etc. Just 10 drops in a quarter glass of water. I take it once a day in the morning on an empty stomach. I believe that one needs to thoroughly cleanse the inside in order to get results on the outside. Another product which I shall consider is dermalogica. I am a bit on a budget but I hear that product works wonders. You mentioned eating healthy is the way to go…I totally agree. I also add sliced cucumber, lemon and mint to a bottle of water and sip it thro out the day. I hope this helps you and again I really look forward to your upcoming posts. Wasalaam Amina! Shukran for taking the time out to read + comment on my post – it really is appreciated! I’ve actually just had a milk peel done myself and it’s honestly the best treatment I’ve ever had. Infact, i just posted about my experience with it! And your mom should definitely do the follow-up peels, and the results will surely be enhanced! 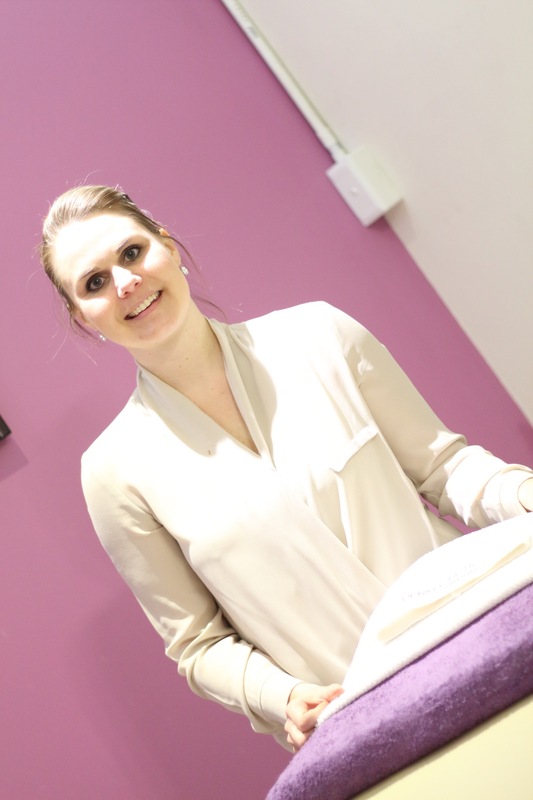 Everyone usually says exactly that – that I have breakouts due to trying out so many products. But honestly, I don’t try out foundations and skincare products. The last products I tried out was from the Avene range, which I still use from time to time, and that was back in March and the Oxygenetix foundation which I LOVE and use everyday. I tend to stay away from unknown skincare products and foundations and therefore prefer to review makeup due to my skin. So my terrible skin is definitely not a result of my beauty blogger habits but if it was, it would make life so much easier because then I’d know how to rectify It! And I totally get what you’re saying about the pill – I’ve never tried it out as I don’t feel that it’s the safest or even the best option for me. I’m so glad you’re seeing results from the Eucerin range. I did try it out but unfortuantely, it just made my skin worse. I even used to use Dermalogica a few years ago. I used it for just over 2 years and my skin was amazing as can be – glowing, no marks and just so bright. But then one day my skin got immune to it, and I broke out like crazy! And my skin has been like that since. So I’ve realised now that the best products are not always the most expensive products. With the recommendation of Dr Vawda I’ve already started eating healthier – well drinking healthier actually. I have a glass of carrot, orange, apple and kiwi juice everyday – so I’m hoping that that pays off too! Thanks again for stopping by! And for that handy tip on the phyto-guava! Defo going to give it a go! Slmz Raeesa. I sympathize with you. I have also been through a war with my skin. Thankfully, alhamdulillah, it’s in a much better place, and has been this way for over a year with occasional breakouts and bad skin days. I want you to please read my posts I’ve done on my Acne Story. As well as other skincare products. I highly recommend them and they have worked for all those who have tried them. I will link them here if thats ok.
Wslm! I read your comment initially in my email inbox and only got a chance to reply now!! Was reading through your acne story and had a MAJOR realization. It may sound so stupid that I’ve mentioned eating healthily as a way to get better skin and somehow forgot that a daily dose of Vitamins is what my skin really needs. Alhamdulillah, thanks to you mentioning Vitamins in your post, I went out and got me some. I started taking some Zinc/Selenium supplements and the frequency of my breakouts have decreased tremendously! Will be starting Vitamin D3 supplements too. I’ve decided to stay away from Vitamin A as most say that its way more effective when topically applied. Anyway, hopefully, together with the milk peel and the supplements my acne and all scars will gone in the next few months. Insha’allah! Thanks for the reply. Just wanted to make a correction. Its the phyto force range – guava.